To clarify, let me back up a bit to shed some light on how I am coming at this. I always jump on the iOS beta train pretty soon after WWDC. This year was no different, as I had my iPhone X, iPad Pro on the first beta once I knew it was stable, and my Watch on Beta 2. No problems there. In fact, iOS 12 was one of the smoothest beta processes I’ve seen from Apple. Siri Shortcuts didn’t go so smoothly for me. I was never able to use the beta version because it was separate from iOS. When I tried to download the beta version of the app from the the iOS Developer Portal, I discovered that only the dev account holder can do that, and that belongs to the site owner, not me. I looked into finding a way to make it work, but eventually just gave up and decided to wait for the release. However, that wasn’t the end of it. I knew that Shortcuts was just a new and updated version of Workflow. 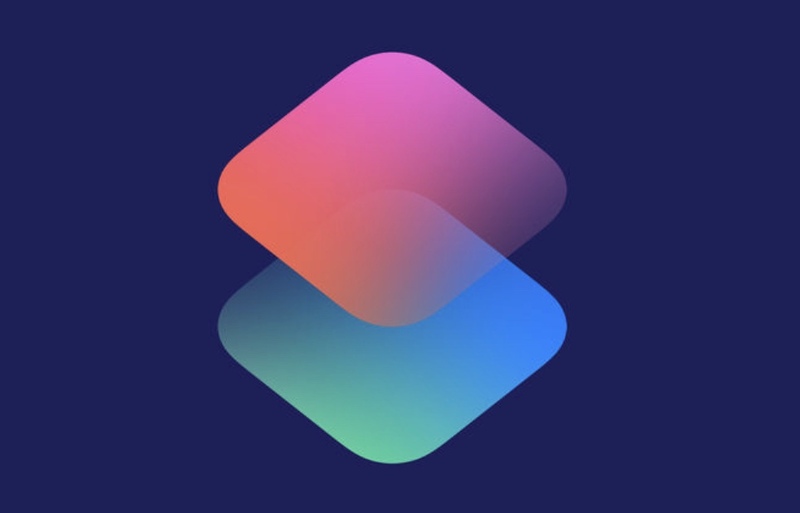 I had also read early Shortcuts reviews that said you could still use Workflow to experiment with Siri Shortcuts capabilities in the iOS 12 Beta. So, I dusted off my old copy of Workflow and got back into it. I very quickly found new capabilities that I really liked and hadn’t taken advantage of when I previously kicked the tires on it. One of those capabilities was the ability to load the Workflow app on the Apple Watch and send shortcuts to it. I really liked the idea that you could pick a few off your phone that would be handy on the go, especially if you were using a cellular Watch without your phone, but not have all of your shortcuts cluttering up the Watch’s smaller screen. Fast forward to the release of iOS 12 last week. One of the first things I did was update Workflow, which turned it into the release version of Shortcuts. Great, right? Well, I didn’t notice until my Watch showed up Friday is that the Workflow app on the Apple Watch wasn’t upgraded, It was removed, with nothing left in its place. I went back through some of Apple’s marketing materials and information from WWDC, and couldn’t find any mention of removing functionality from the Watch. Of course, that’s not the kind of thing that makes the stage, is it? However, I really couldn’t find much about it in previews and reviews, either. Evidently, no one else cared that Workflow used to work on the Apple Watch besides me. As far as Apple and the Watch go right now, there is very little you can do. Siri Shortcuts that iOS serves up to you based on what it thinks you need at the moment can show up on the Siri Watchface. That may be the case, but I haven’t seen one yet, and if it does, I’m not sure if it will be at all useful on the Watch. 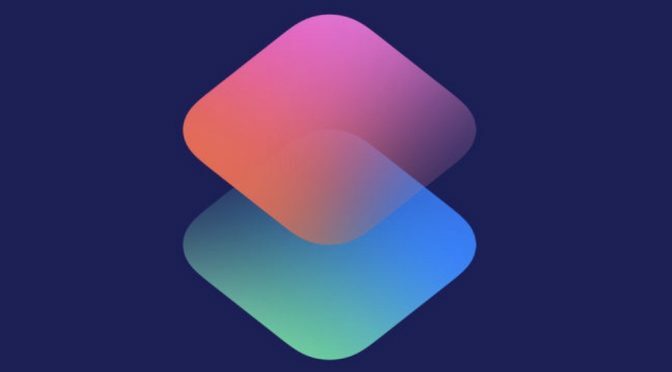 Along those lines, one of the ideas behind Siri Shortcuts is that you can record a voice trigger and call them up using Siri. This should work the same from the Watch, right? Well, it’s supposed to. I guess it does in theory, but in practice, it’s kind of a mess at the moment. Originally, if I ran a Workflow that could be performed on the Watch, it would work on the Watch. So far with Siri Shortcuts, anything I trigger using the Watch has to run on iPhone. Even if I disconnect my Watch from the iPhone and have it on cellular, even if the task could be performed on the Watch, I get the same response. It has to be on the iPhone. The Watch has been relegated to an even more subordinate status when it comes to Shortcuts. Here’s the real kicker. If I prompt a shortcut to run from your Watch, it fails. Every time. Siri on the Watch will tell me that it has to be completed on iPhone. I go to the iPhone. Nothing happens. If I open the Shortcuts app, I can see where the shortcut is trying to run, but it is just stuck. If I the tap the shortcut to unfreeze it, then it just stops running and that’s it. Nothing happens. I have tried this several times, and it hasn’t worked once. Not good. In the grand scheme of things for Apple, this is just a speed bump. Shortcuts capability being gutted from the Watch isn’t the end of the world. However, the reason I bring it up is because this is a move in the wrong direction. With the introduction of cellular to the Apple Watch last year, Apple started a process that should make the device increasingly independent. The intro of the Apple Watch Series 4 now gives us hardware that moves beyond utilitarian to a pleasure to look at and use. Shortcuts’ total reliance on iPhone is moving against that grain and momentum. Hopefully Apple will start by fixing the problems I’m experiencing using Shortcuts anywhere but the iPhone. At a minimum, they need to function, no matter where they are launched from. A good next step would be putting the functionality that used to be available independently on the Watch back. If you are out and about with your Watch alone, the last thing you want to hear Siri fire back is, “you’ll need to continue on iPhone.” If this device is as big a part of the future of Apple as it seems to be from the outside looking in, then the way Shortcuts works on it should reflect that. To be fair, the Apple Watch isn’t the only device out in the cold right now, at least for me. I can’t run Shortcuts on my HomePod, either. When I try from there, I actually get an error message from Siri on my phone. The reaction of the Shortcuts app is the same as in the screenshot above. It would seem that Apple still has some work to do to get Shortcuts fully off the ground and stable. I will keep using them on my phone, because there is a lot of great flexibility and functionality there, but hopefully that will be extended to these other devices soon.